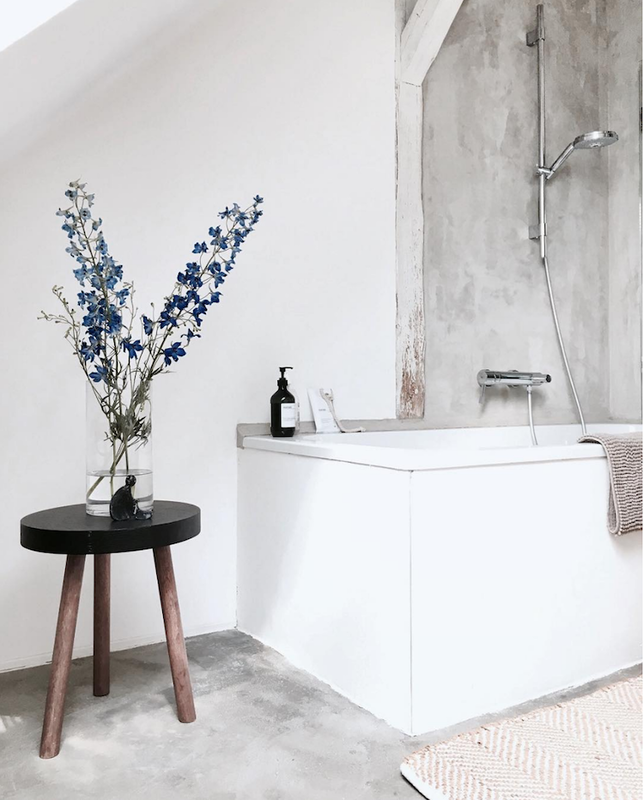 Recently I've been showing a lot of eclectic homes with splashes of colour (and even a black bathroom!). 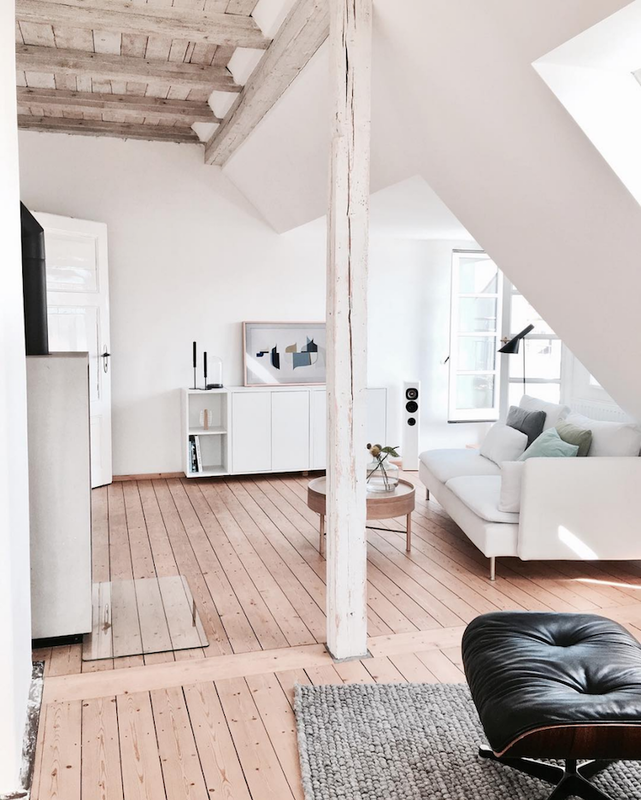 So, today I thought I'd reign it in a little and feature a beautiful, light-coloured loft in Hanover, Germany. 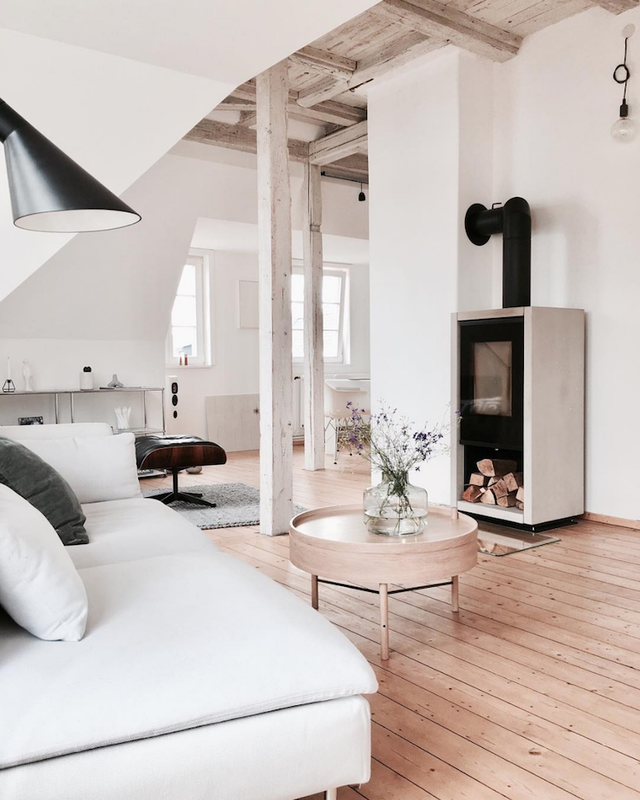 A white, minimalist scheme is often in danger of coming across as cold and uninviting, especially in an open-plan living space, but when you have incredible exposed beams, pillars and a mezzanin floor like Sandra, a simple, pared-back look allows the architecture to sing! Oh and how this space sings! 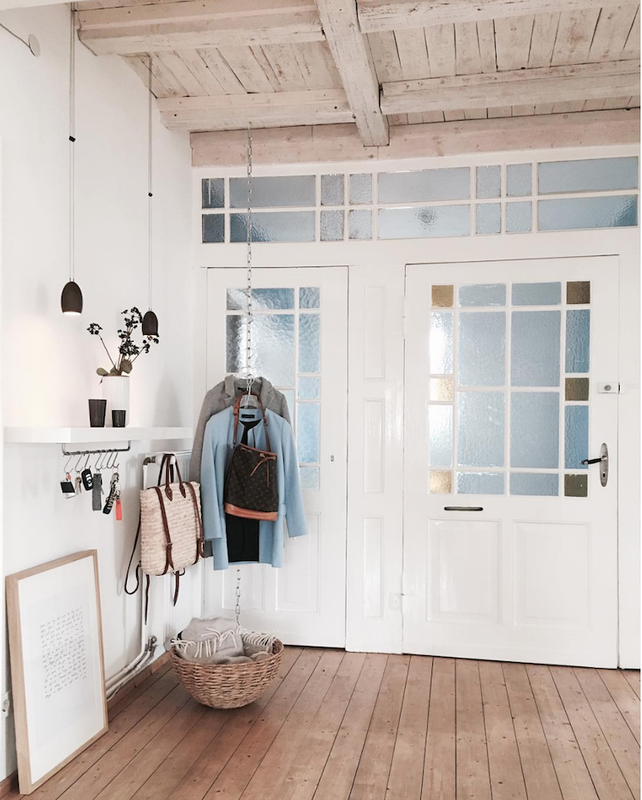 Tobias Grau OH 9 pendant lights, basket bag* (similar), Source a chain from a DIY shop for a simple way to hang coats. Samsung The Frame (how long have we been waiting for a TV that looks like art?! I've been totally in love with it ever since I worked on that Greenhouse make-over!). 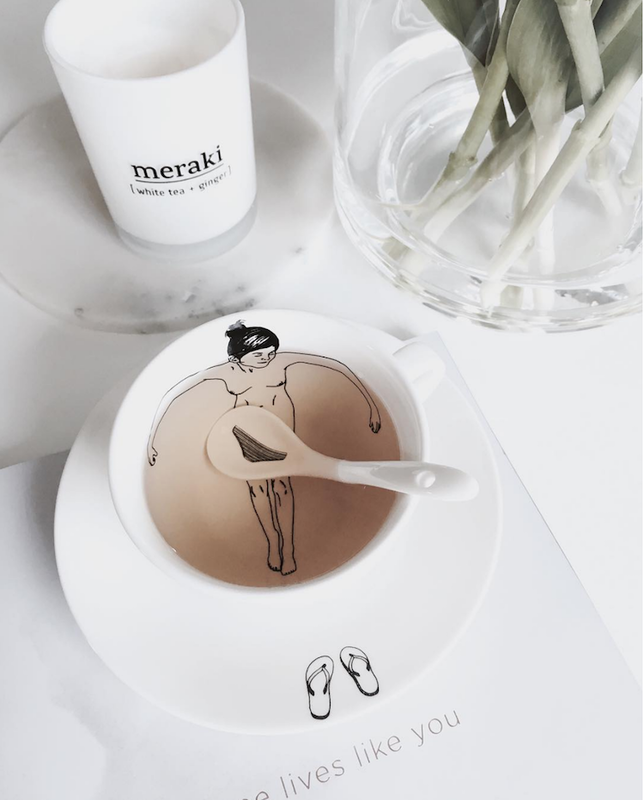 How fabulous is this Undressed tea-set?! Oooooh wow. 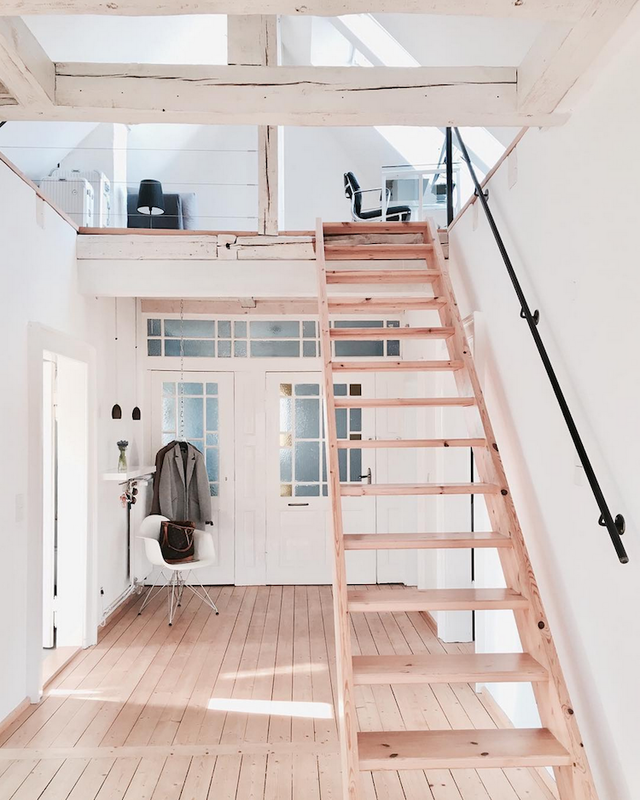 This is my dream loft. Can you imagine having a space like this to play with?! 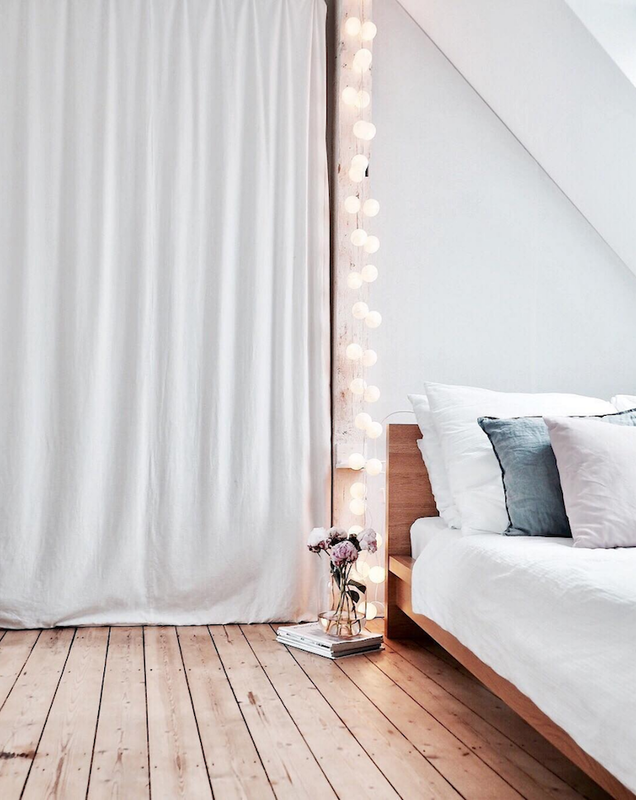 As mentioned above, open-plan minimalist spaces can come across as a little cold at times - but I think Sandra's totally nailed it. Does this look appeal to your senses?! 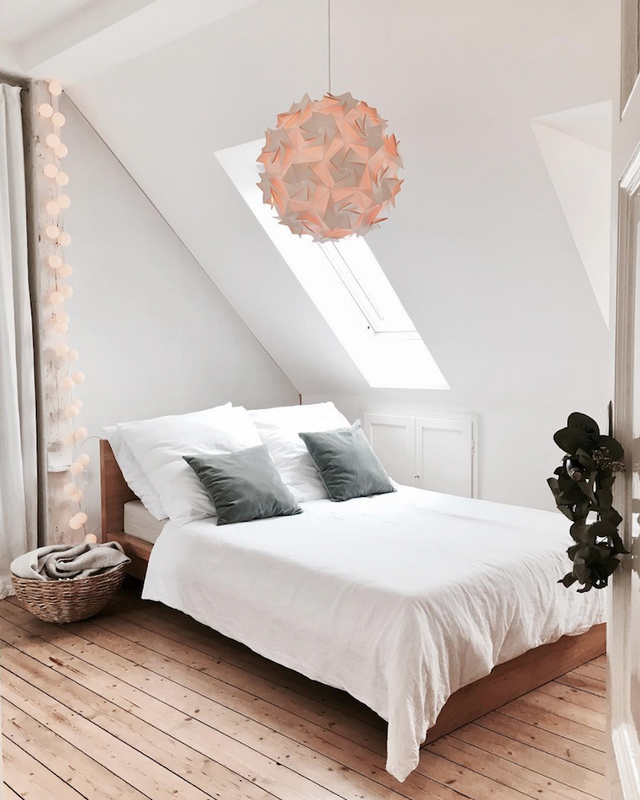 If so, you might also like to check out Sandra's instagram feed which is awash with beautiful sand and white images, this fabulous loft in Arnhem (available to rent! 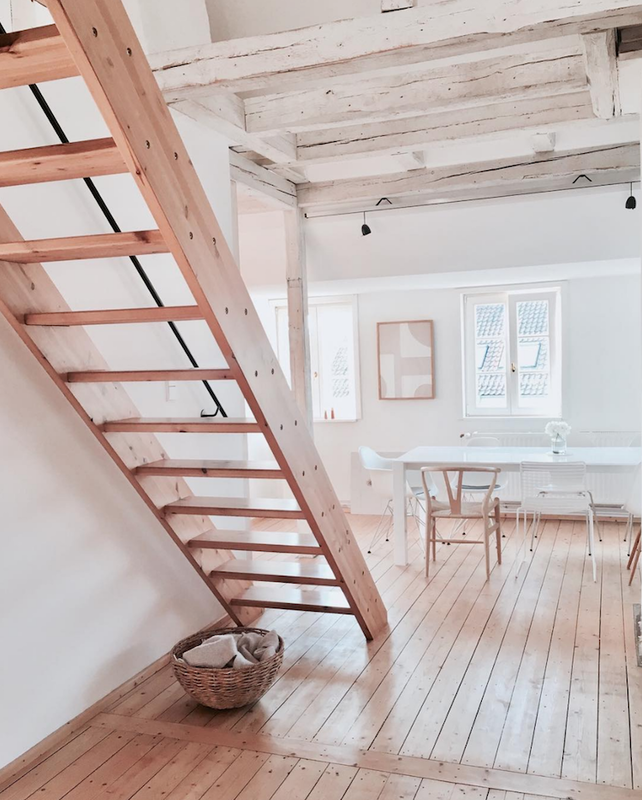 ), a bright and airy Paris loft, a light Danish home with a stunning bedroom. Our family sailing tour of Sweden's West coast came to an end yesterday - boooo! Does it sound strange to say I miss the sea? After four weeks afloat it felt like an old friend by the end. On Monday I'll be back at my desk so I'm thinking daily posts again - what d'ya think? I'll also be working on an exciting photograph commission for a jewellery brand (feeling the pressure but so looking forward to it! More on stories!). But first - the weekend. And there's an Anholt gin and tonic, sunshine and a swim waiting for me! I hope you have a load of fun plans too! PS - to create this tour I've combined a load of images taken by Sandra over time - as a result, some items might appear twice and rooms might look marginally different in the sequence! Beautiful, very pleasant. 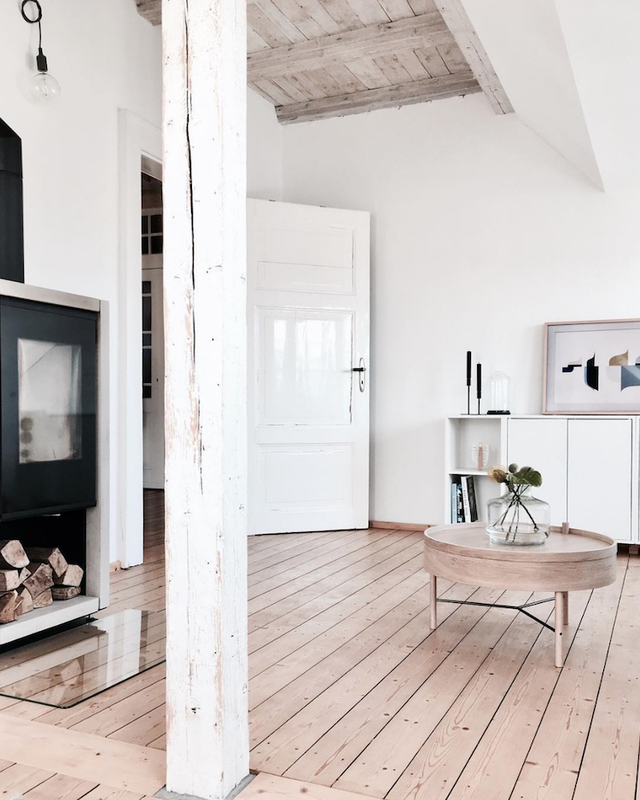 I am struck by the use of glass in two places: the white table and at the foot of the fireplace. Ah yes! 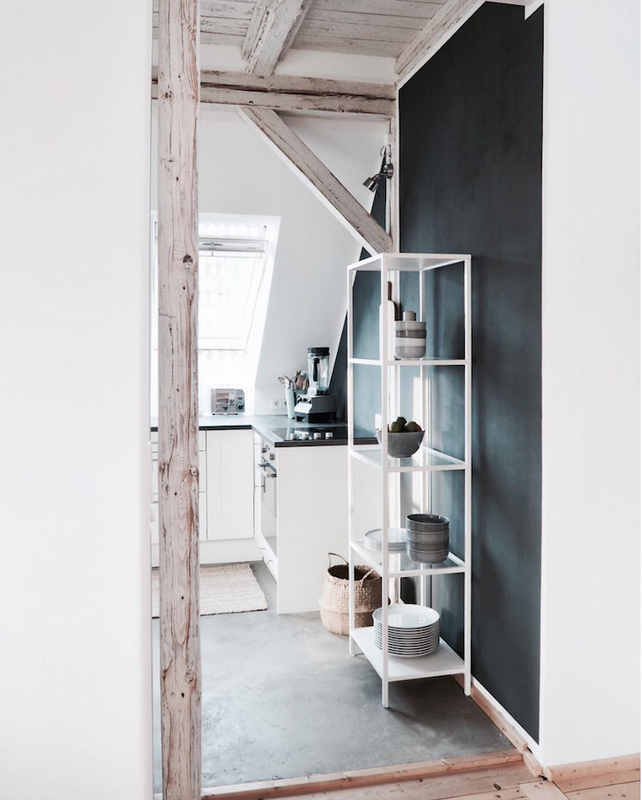 I noticed the fireplace one but not the white table - lovely, subtle touches! Amazing space. Even though it is sparse, it is very inviting and calm. Pictures of your vacation on IG were amazing. I need to visit Sweden more than 4 days in Stockholm (even though that was excellent for sure). Miruska - thank you! You MUST visit Sweden again, there are so many beautiful places to see! Come in the summer time. I've got lots of tips for you! I'm so happy you enjoyed it Eva. 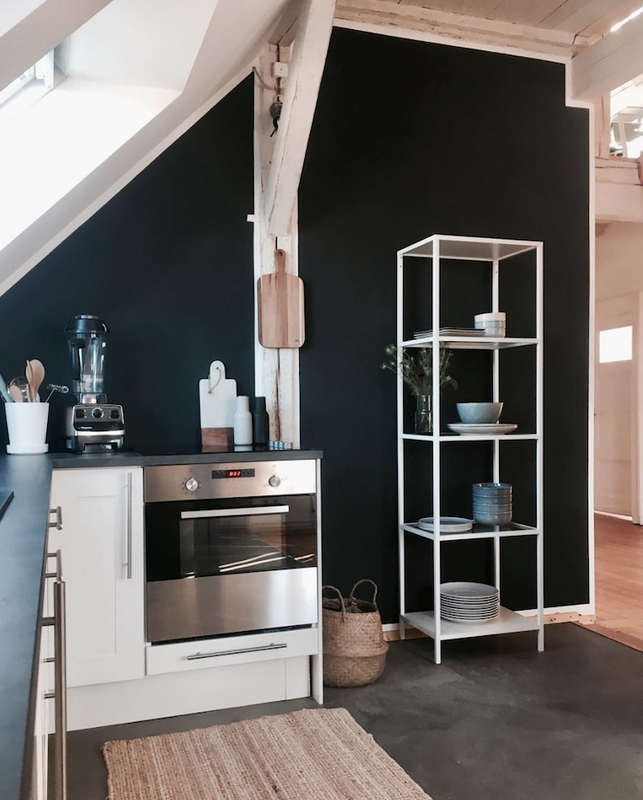 It's such a lovely apartment - kind of unique too! Looks like my new cushions from H & M on the bed. Velvet one side, linen the other. 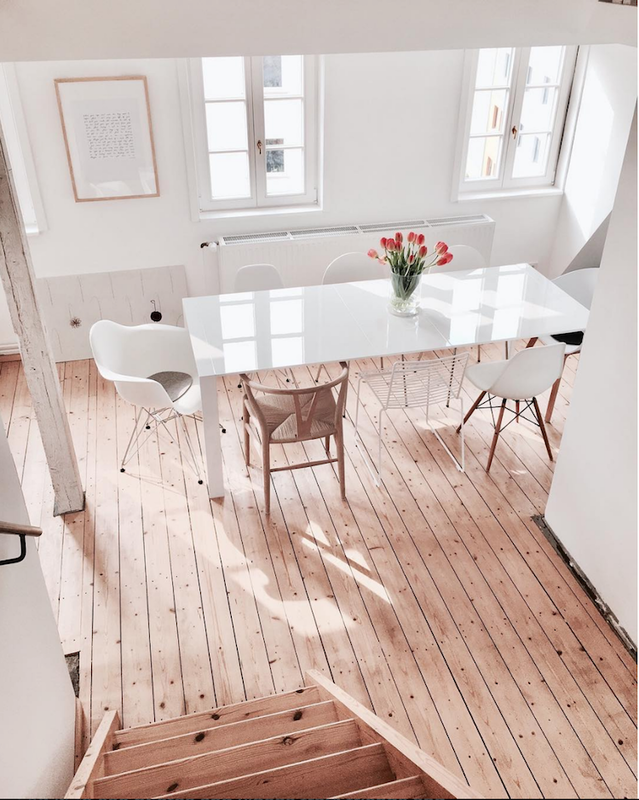 They are lovely as is the whole loft. I didn't realise these are H&M - great tip, thank you!